Steelcase Leap(R) Chair - Leather (SC462LEAPLTHR) at Pure Design / Seating / Workspace ::: Furniture for the Home, Office, Home Office, and More at Pure Design Online! 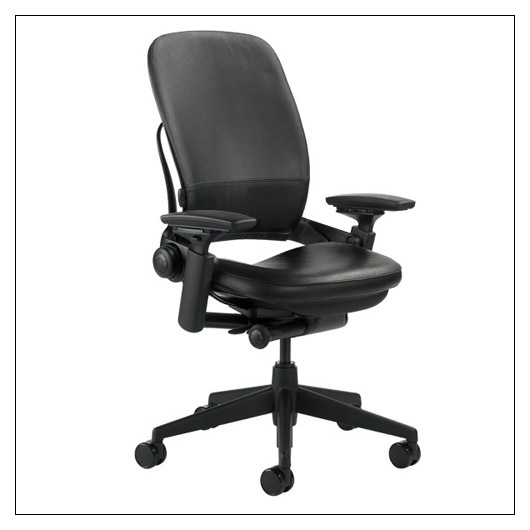 Adjustable arms, adjustable seat depth & height, adjustable lumbar, leather upholstery, black plastic frame, seat shell, and outer back. 5-arm base with 2.5" black (or partial aluminum) casters. Materials: powder-coated steel, glass-reinforced nylon, polypropylene, leather.